Check out the progress bar to see how close we are to our year-end goal. 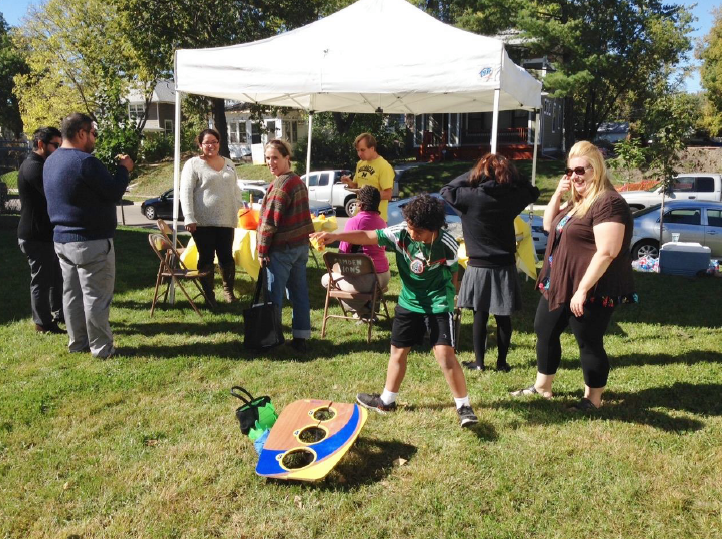 In October, PRG worked with the Jordan Area Community Council and the Northside Home Fund to put together an autumn celebration to bring together old and new neighbors around the cluster of new and newly rehabbed homes near 25th and James. Over 50 people attended and enjoyed the day. This fall the PRG board of directors said goodbye to Michael Anderson, who stepped down after seven years of generously volunteering his skills and energy in support of PRG’s work. Thank you for your leadership, Michael! Also this fall, three new talented individuals have been elected to the board. Read about Dante Coleman, Corina Serrano, and Lisa Tabor here. Can you join this crew and help us get to our year-end goal? Check out the progress bar on our giving pageto see how close we are! 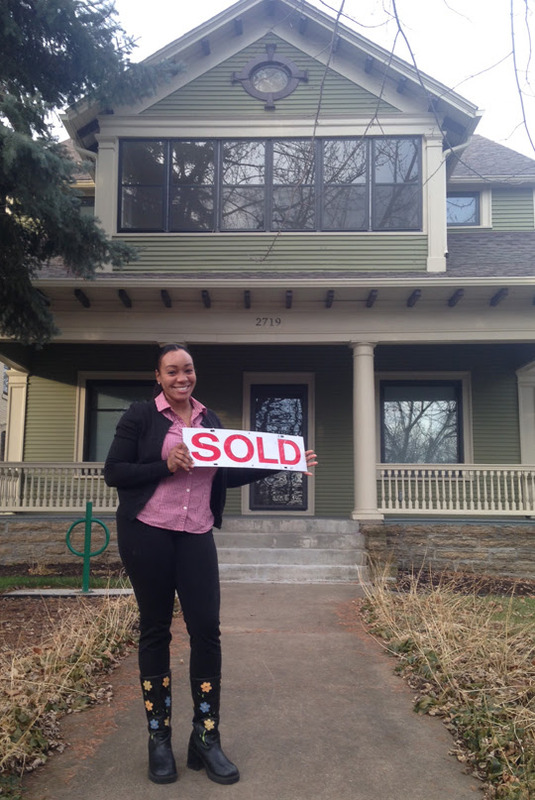 acquiring a house for rehab in Brooklyn Park, using Neighborhood Stabilization Program funds. Renovation will take place over the winter, and the house will go on the market in spring. Nearing completion on a rehabbed house in Jordan and a new, green home in Harrison. Submitting a proposal for funds to build two more homes in Jordan through the City’s Green Homes North program. Construction would happen in 2016, and this would be PRG’s 11th and 12th Green Homes North homes. Many thanks to Minnesota Housing for supporting our ongoing single-family development work in partner neighborhoods through the Impact Fund! Lynnaia (right) became the new owner of a house rehabbed by PRG this fall. Connect with us on Facebook for updates on happy moments like Linnaia’s as they happen. You are receiving this email because you’ve expressed interest in PRG’s programs. THANK YOU for helping us transform homes, neighborhoods, and lives. Unsubscribe info@webbercamden.org from this list. Copyright (C) 2009 PRG, Inc. All rights reserved.